This creamy-foam shower gel gives you quantifiable, lasting moisturising effect. 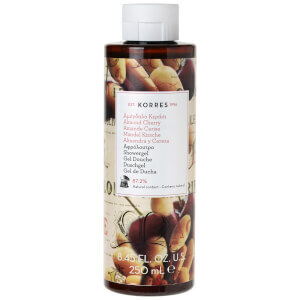 KORRES Fig Shower Gel has a pure, yet delicate aroma of freshly cut figs. It contains Active Aloe, rich in vitamin C, E, zinc and antioxidant enzymes, which enhance the immune system of your skin. Furthermore, due to its ability to stimulate collagen and elastin synthesis, Active Aloe helps reduce the visible signs of ageing. I had no idea what to expect but this smells so so good. I already have the Korres Bergamot Pear, which I like, but this smells divine. Sweet smell but not sickly - just smells rich, warm, and uplifting. Fantastic. My boyfriend loves it, really appreciates the quality after using supermarket brands and has requested a second bottle :) And why not I say, everyone needs a little affordable luxury on dark winter days, and this fits the bill perfectly. Plus he smells gorgeous and not of tea tree anymore. Happy all round. I really love this product. The smell is not overpowering but it lingers on your skin and throughout the bathroom. It foams well and makes my skin feel soft and milky after washing. My fave body wash! 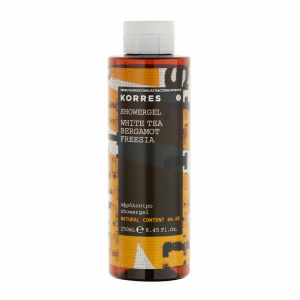 This shower gel is a "must have" for a fresh revigorating summer shower. A very delicate, natural and powerful sent at the same time, plus very close to a fresh cut fig tree branch. Once you have tried it, you will fall in love with it. Lovely gentle perfume, leaves your skin feeling really soft. Will definitely buy again. About the service, it's excellent! Fast, with attention to details, highly recommendable. About the product... I am not sure yet. It's definitely not my favorite, but it's not bad either. 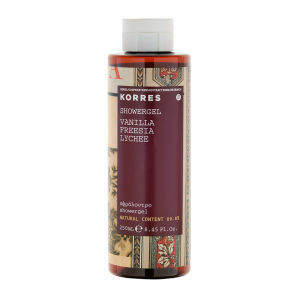 I used the entire Korres Fig range, including the scrub, shower gel and body butter and, I must say, I am impressed. The shower gel has a very nice see-through substance, not too thin and it smells gorgeous. You get the best results if you put water on your body first , apply the gel and then rinse off. After finishing with the body butter, you smell great and feel very soft. The scent is very delicate and real. I love it! I want to try them all. Love this, feels fab on my skin, wonderful vivid scent evocative of past summers spent in the South of France. I have sensitive skin and this product is great. Does not irritate, has a lovely fragrance and is not drying. I'm so pleased I tried Korres showergels. The guava one is equally nice.